This Monday and Tuesday, Save the Dunes, in partnership with Enbridge, hosted a 24-hour HAZWOpER Training for Wildlife Response led by Focus Wildlife International. The training and coursework fulfilled the OSHA requirements for 24-hour HAZWOpER certification, which is required in order to assist in the event of an oil spill. 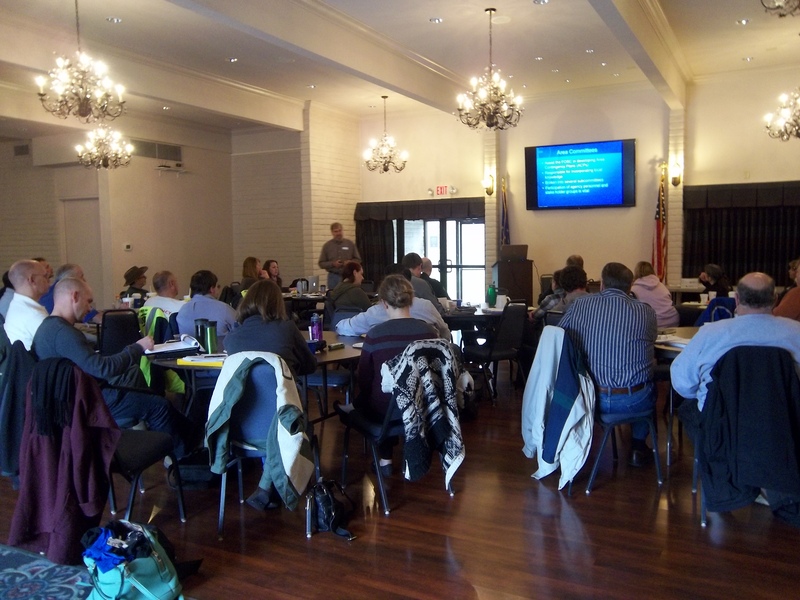 This training connected a range of key players involved in pipeline safety, oil spill response and clean-up, and restoration efforts, and included representation from regulatory agencies such as the Indiana Department of Environmental Management and the Pipeline and Hazardous Material Safety Administration, wildlife rescue and rehabilitation organizations, conservation organizations, natural resource management agencies such as the National Park Service and the Department of Natural Resources, nearby industry, county HAZMAT teams, and local police and fire departments. All of these different agencies and organizations play a crucial role in the many components of oil spill response, cleanup, and community preparedness. Because of the number of pipelines and other transporters of hazardous materials in Northwest Indiana, Save the Dunes wanted to do something proactive to better understand the role that we and other organizations and agencies play in oil spill response. We hope to never need to use this training but we want to be a part of a prepared and informed community that can effectively respond to an oil spill or leak, keep nearby residents safe and informed, and limit the damage caused to the surrounding environment. This training takes us a step closer to obtaining our goal of community preparedness. To learn more about the training visit our Oil Spill Response Training page.